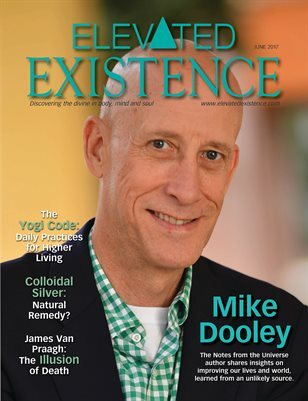 Bestselling author Mike Dooley, known for his Notes from the Universe, shares advice he received improving our world from an unlikely source — beings on another planet. Also in this issue, Yogi Cameron, author, and yoga and Ayurveda expert offers The Yogi Code, which is universal spiritual principles to live a more connected and spiritual life, including routine, practice, intention and purpose. Healing Corner takes on Colloidal Silver; Food as Medicine dives into the Truth about the Thyroid; and so much more!